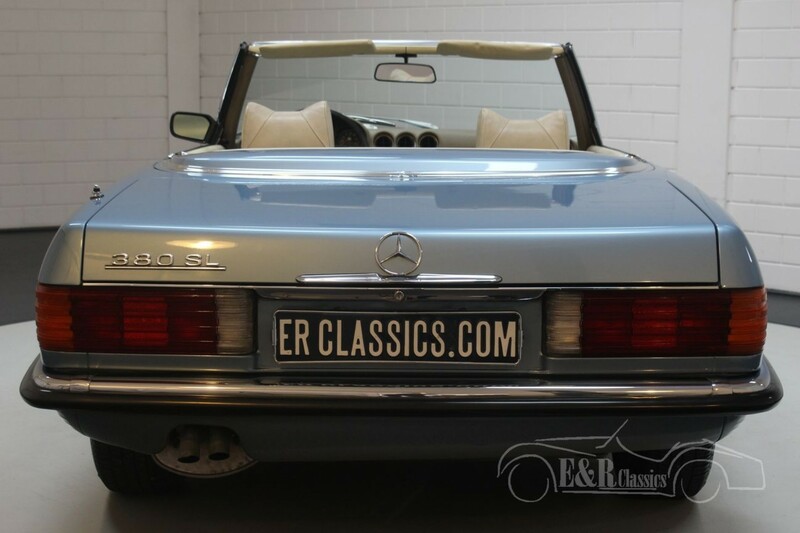 This Mercedes-Benz 280SL (R107) was built and delivered to the first owner in 1975. 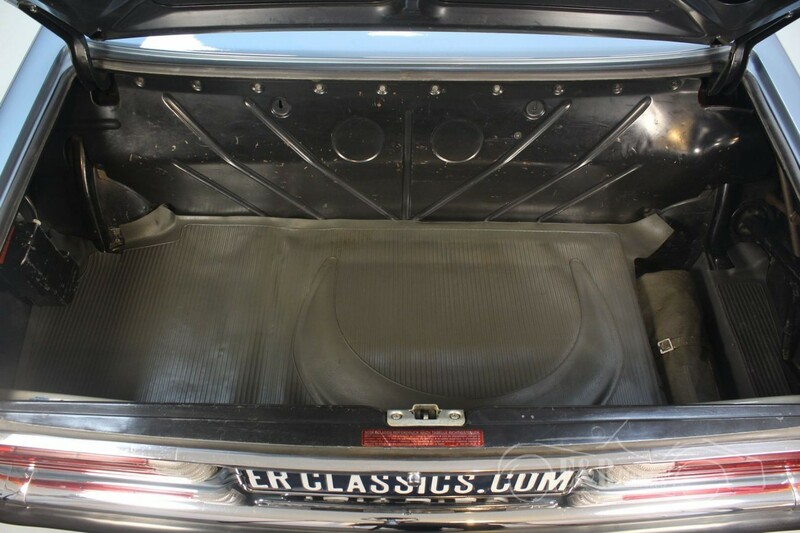 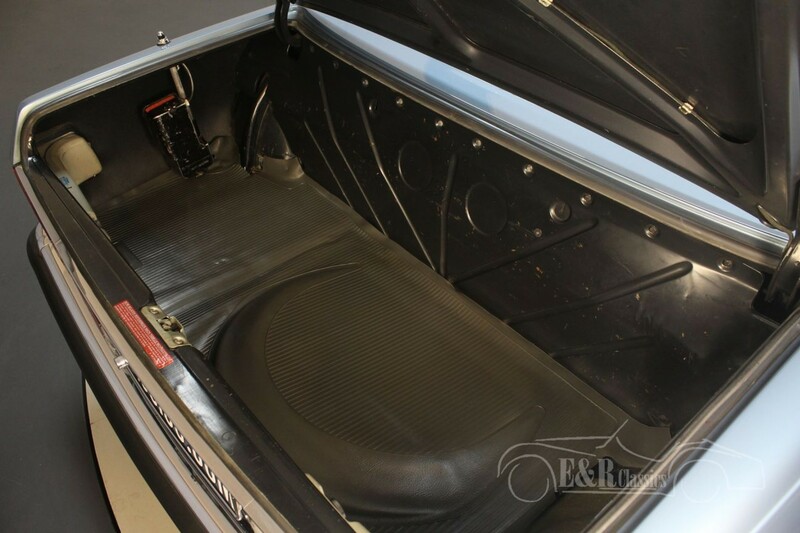 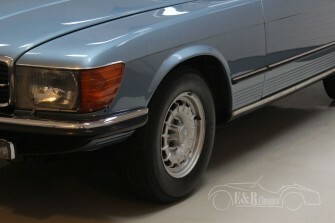 This car is equipped with a beautiful Hellblau metallic paint and original Baroque wheels. 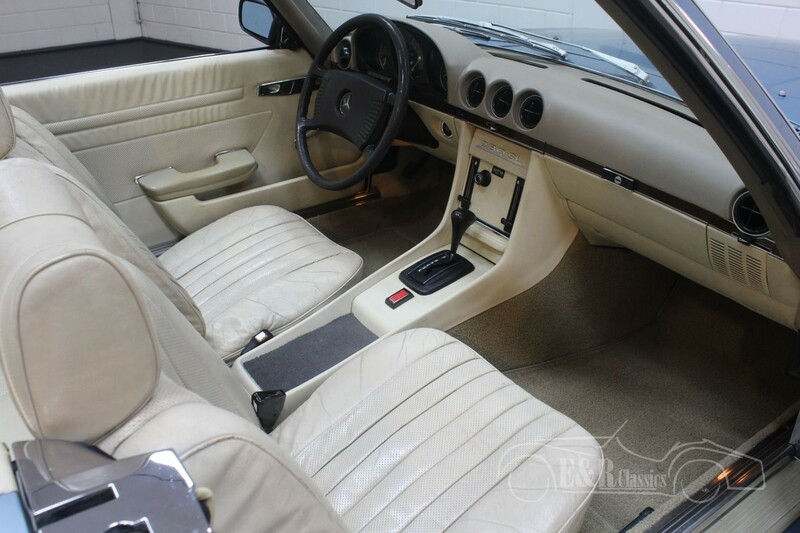 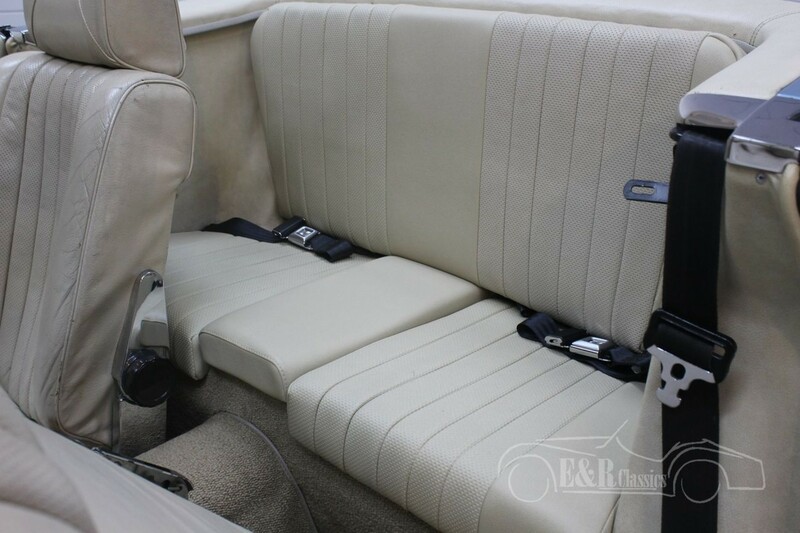 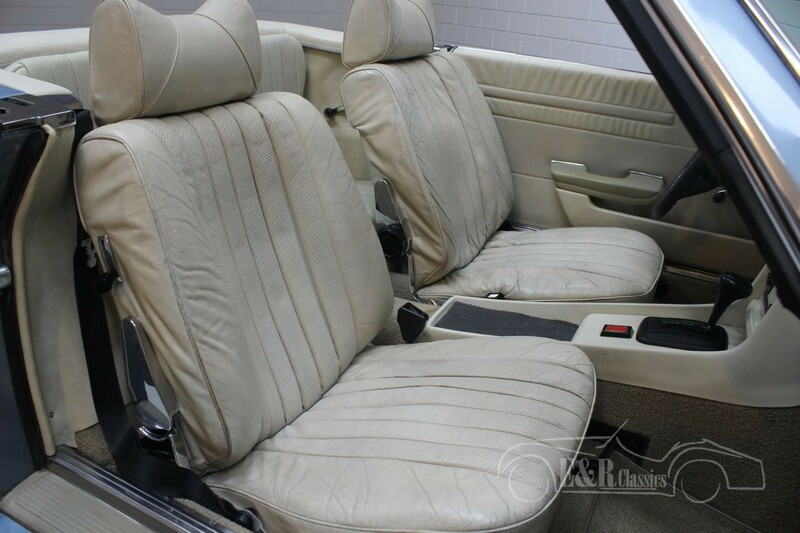 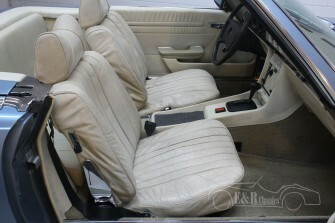 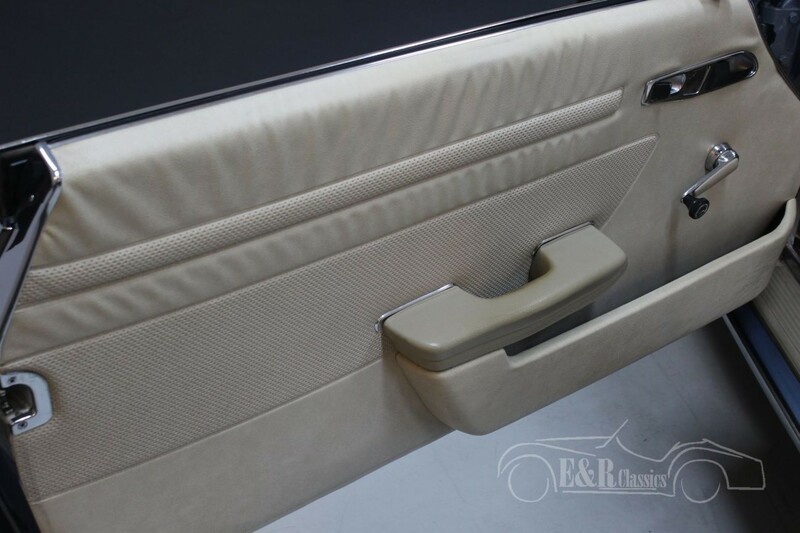 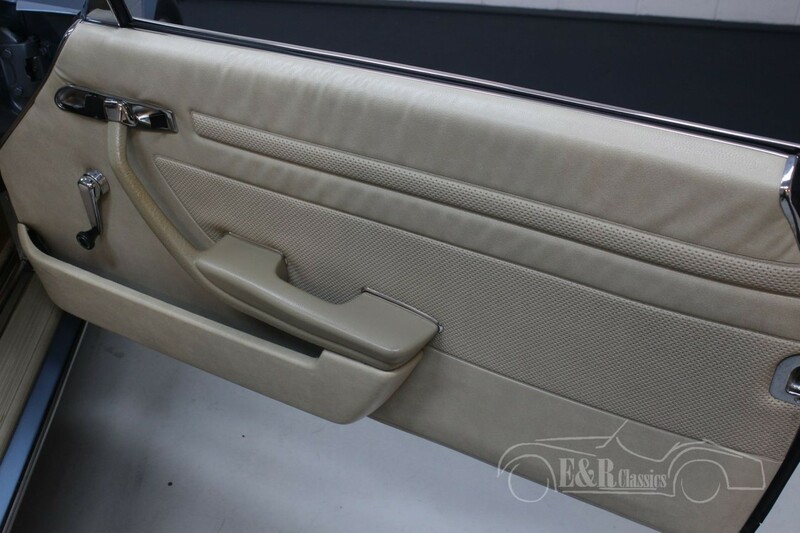 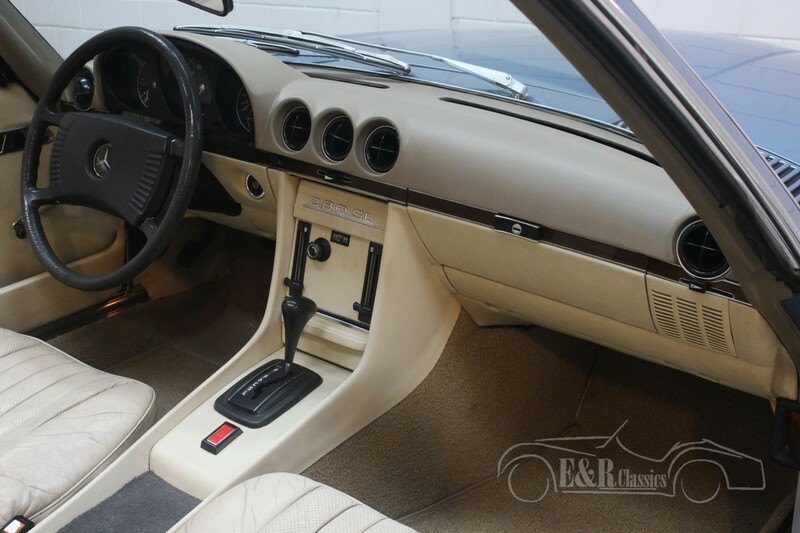 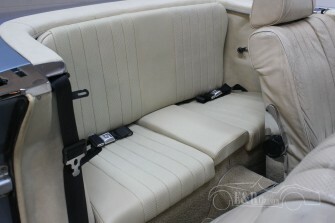 A beautiful combination with the dark blue Sonnenland soft-top and the beige leather interior. 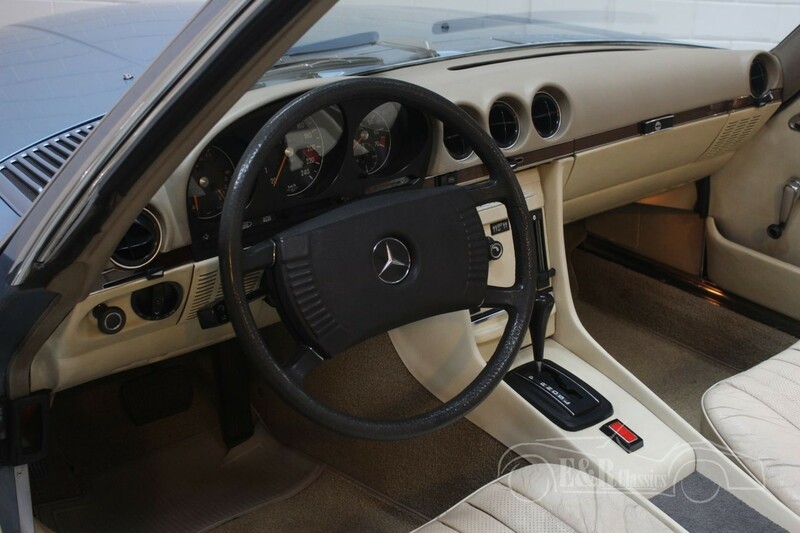 The 280SL is powered by the 2746cc six-cylinder engine and an automatic gearbox which makes this Mercedes drive fantastic and comfortable. 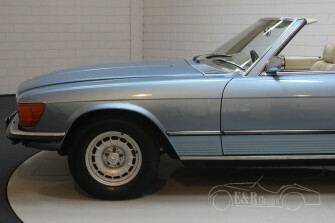 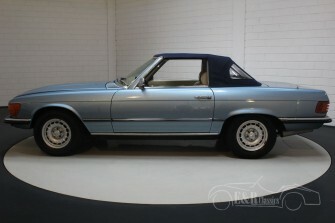 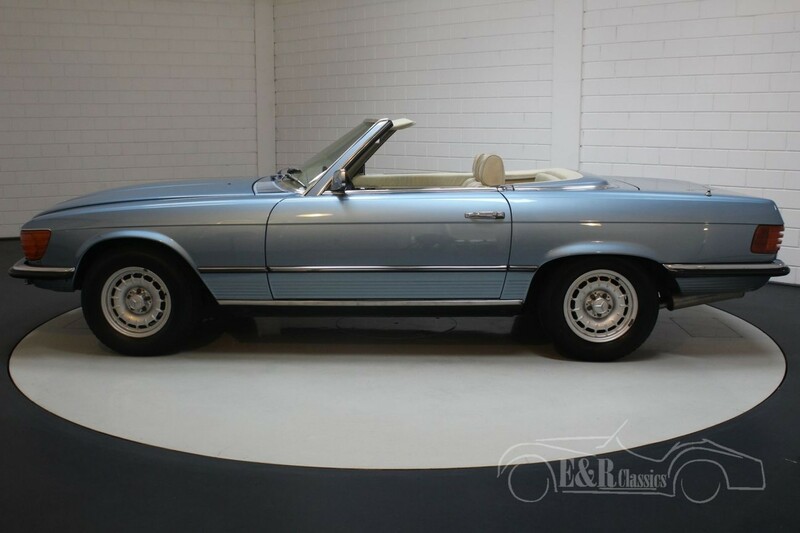 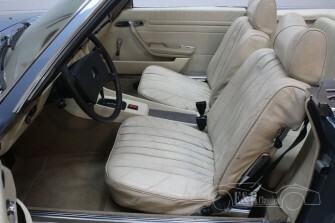 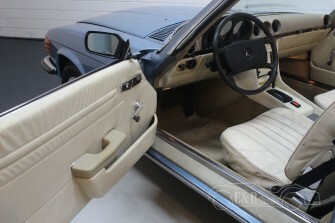 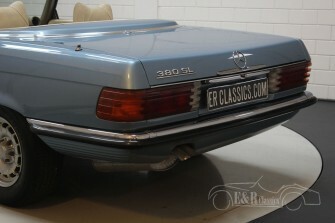 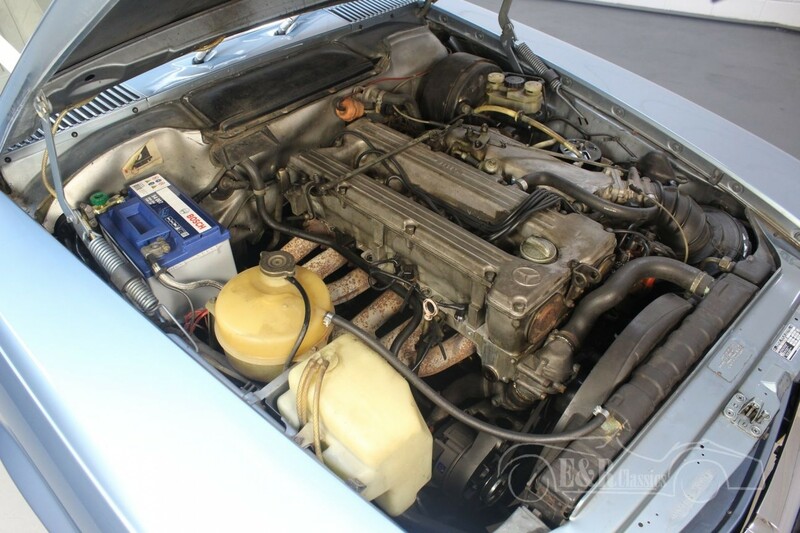 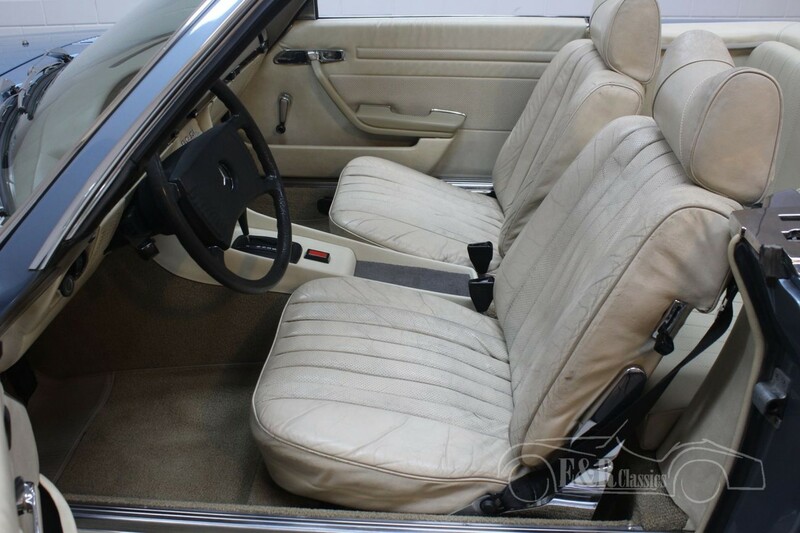 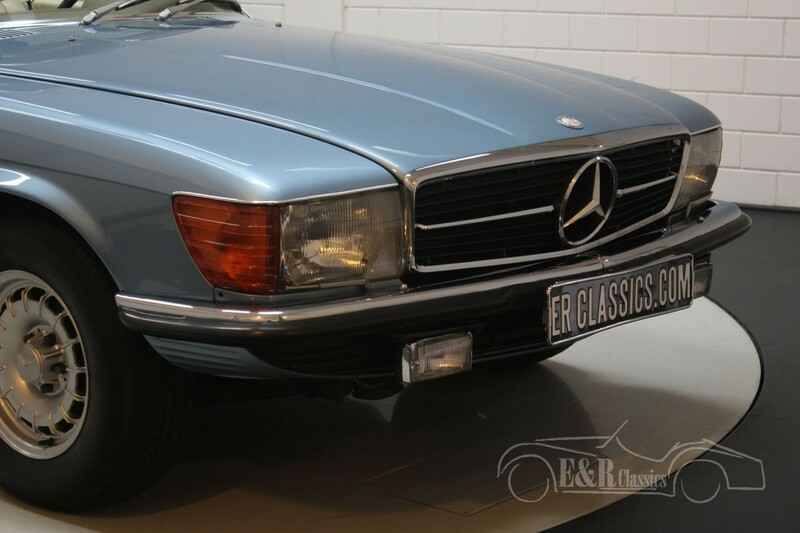 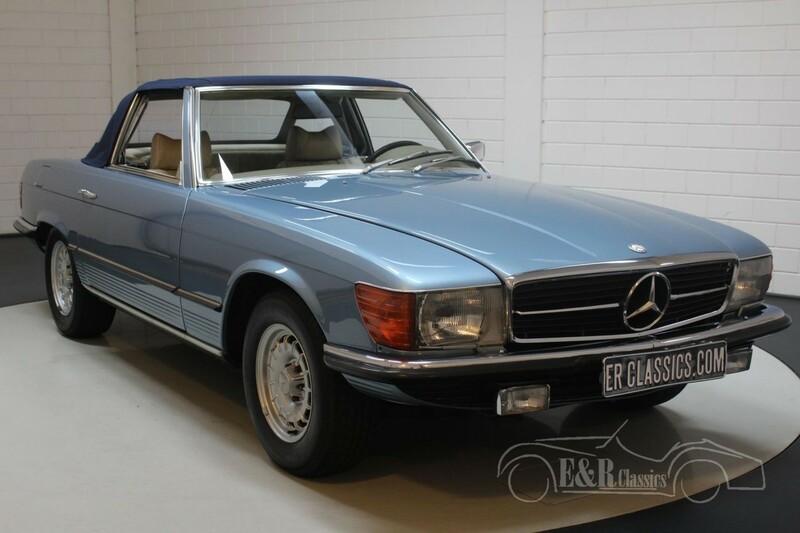 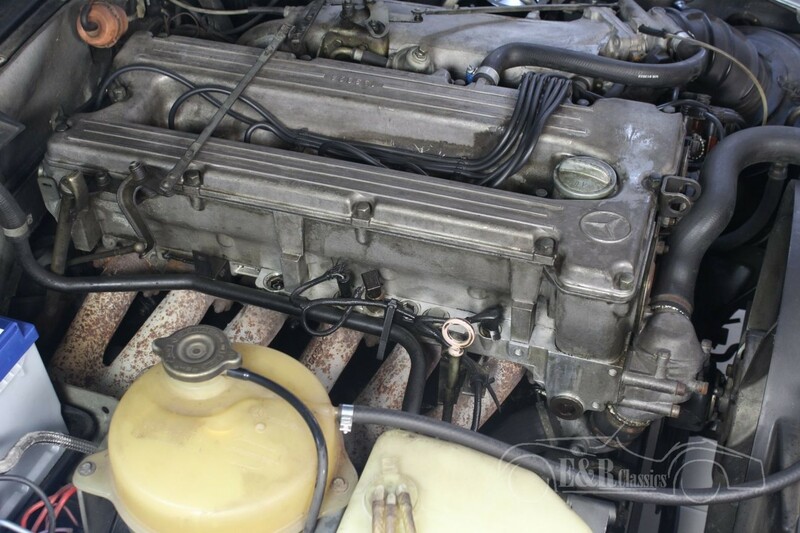 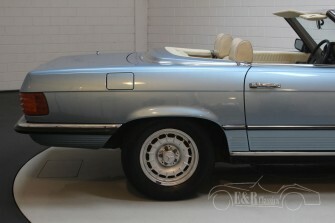 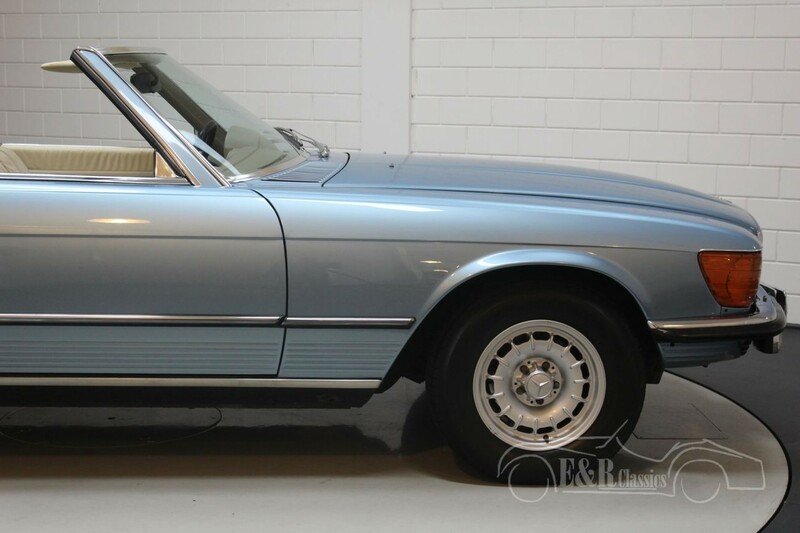 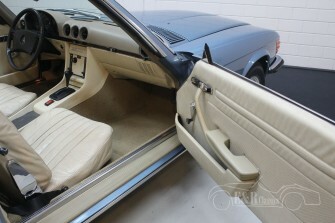 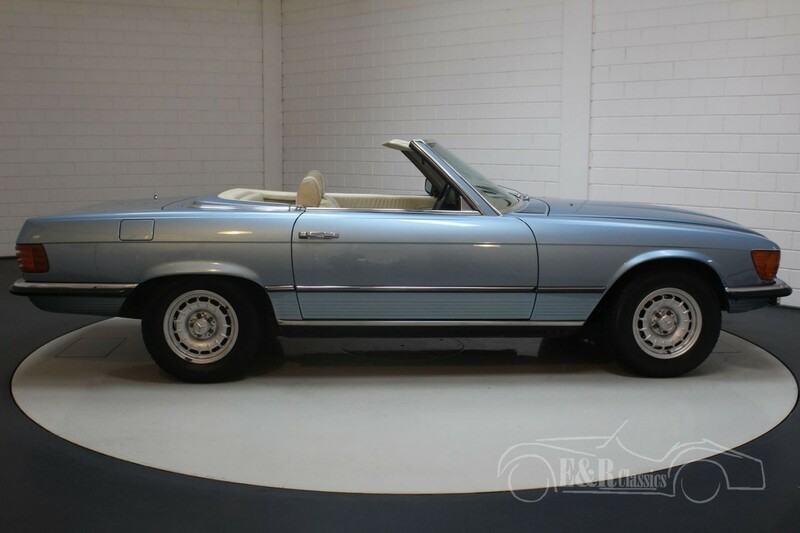 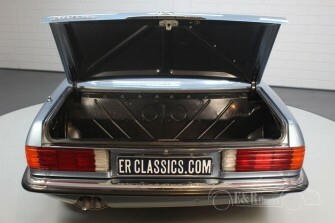 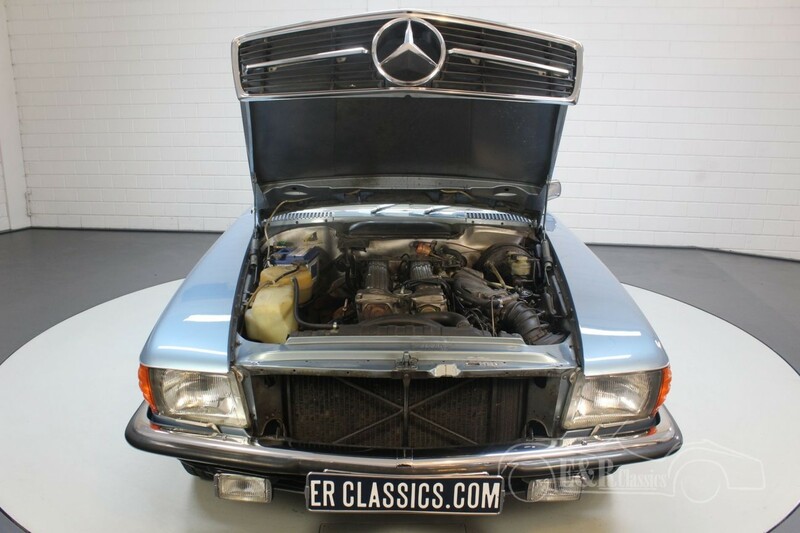 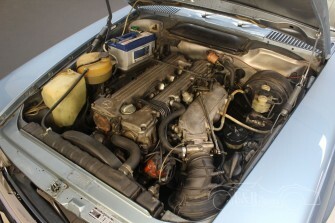 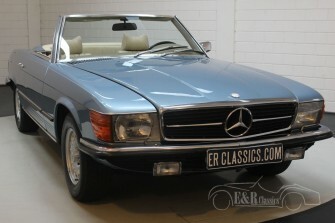 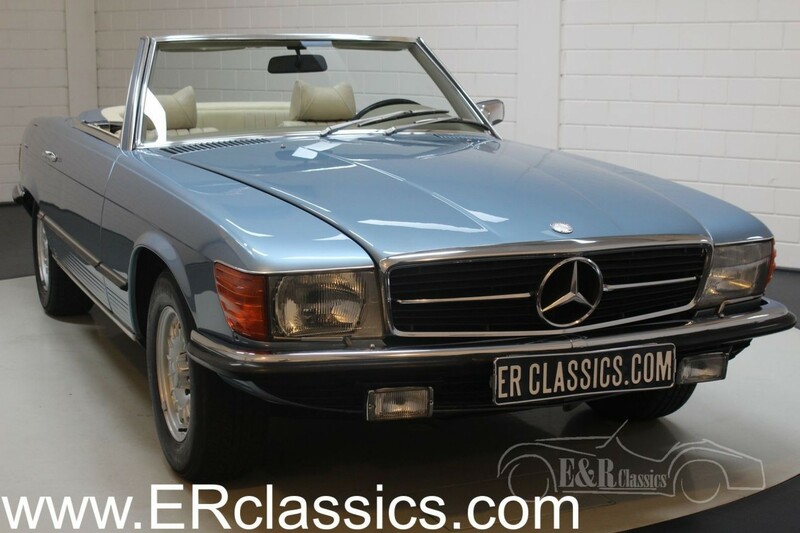 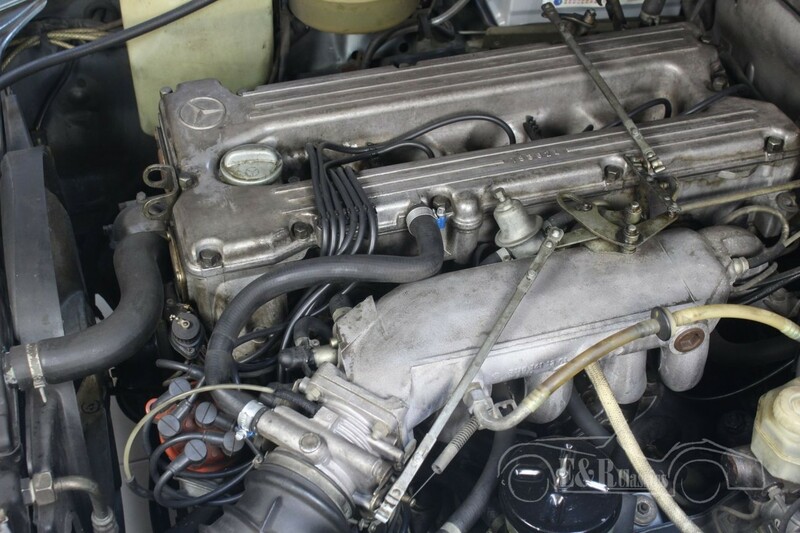 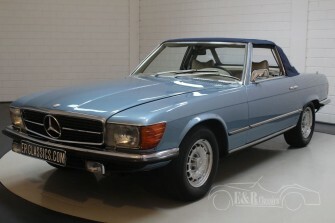 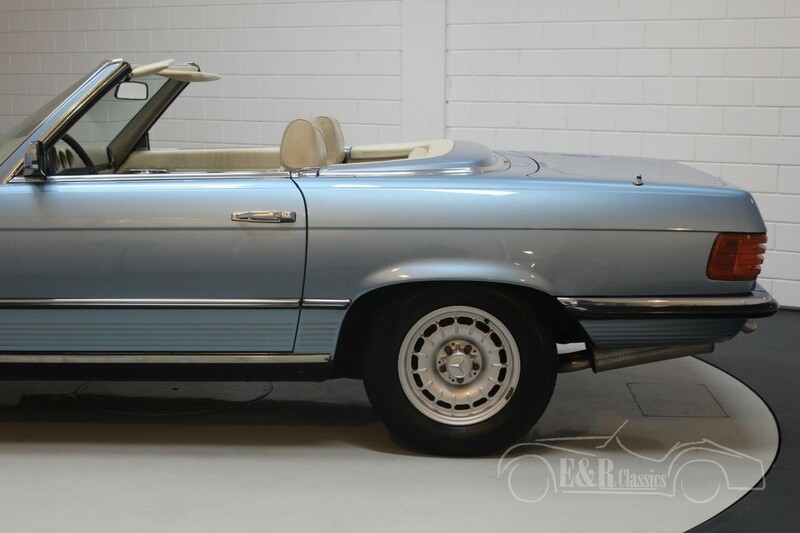 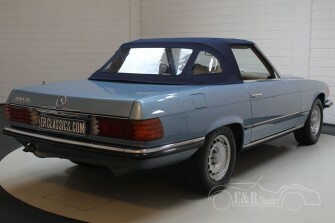 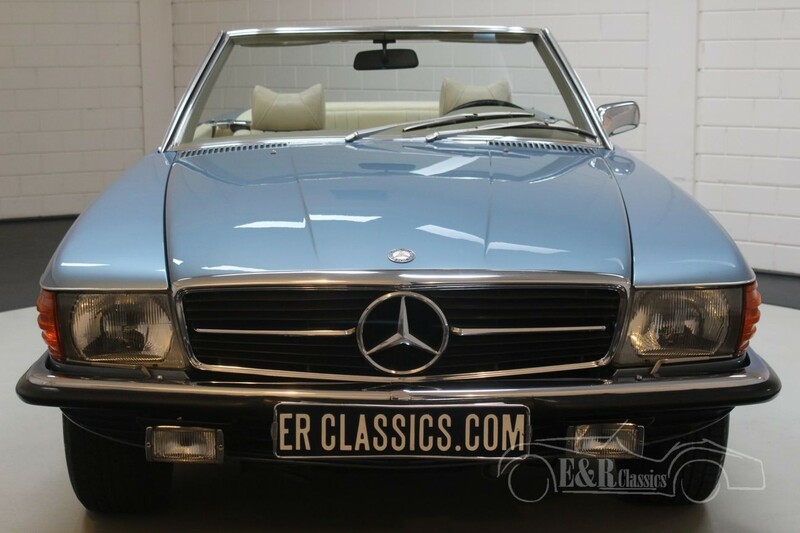 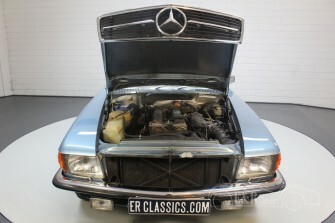 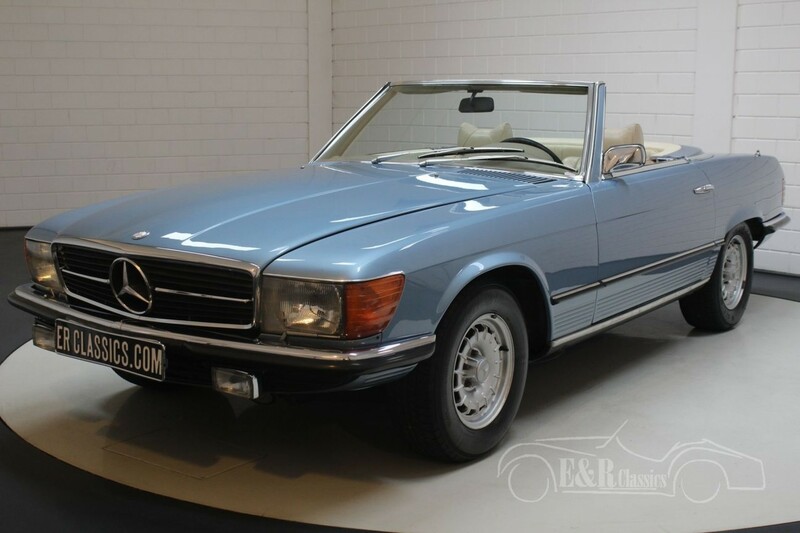 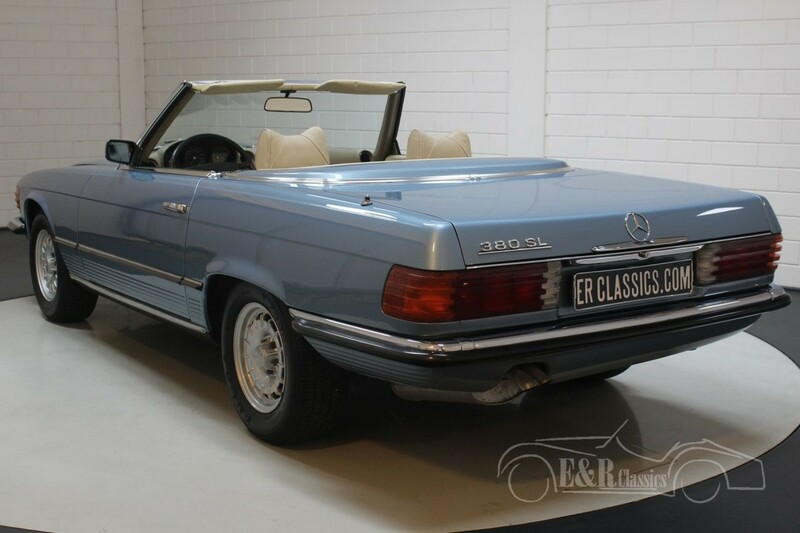 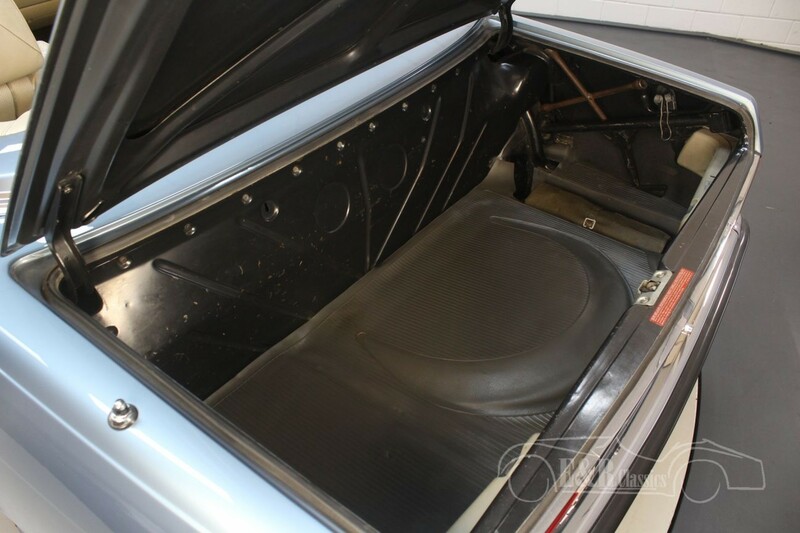 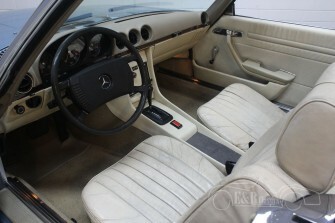 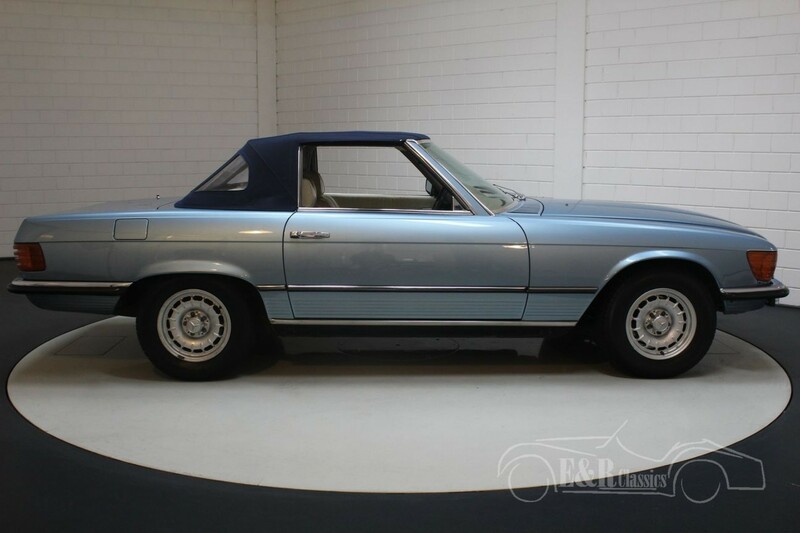 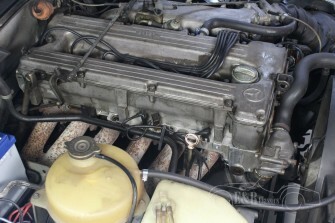 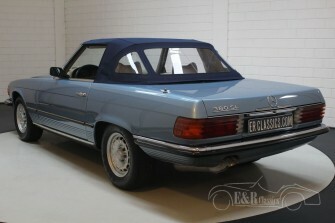 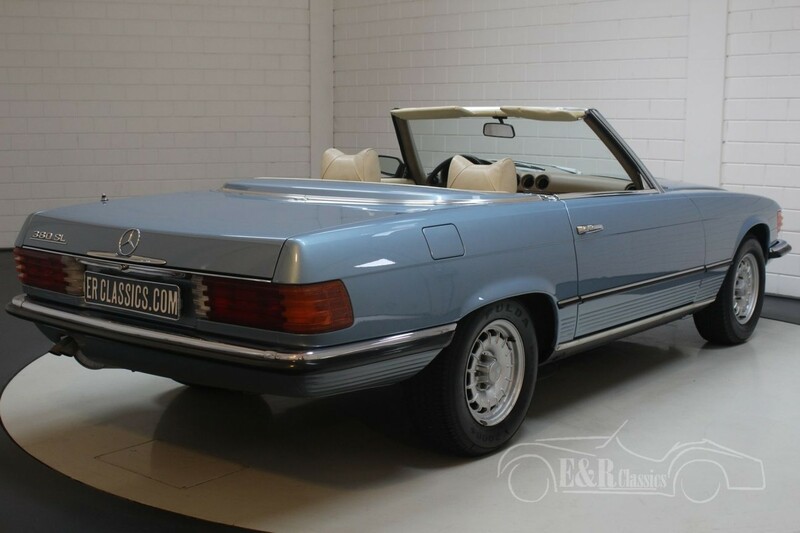 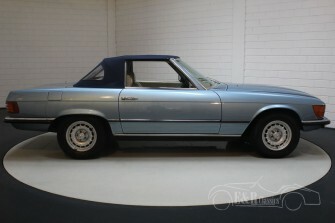 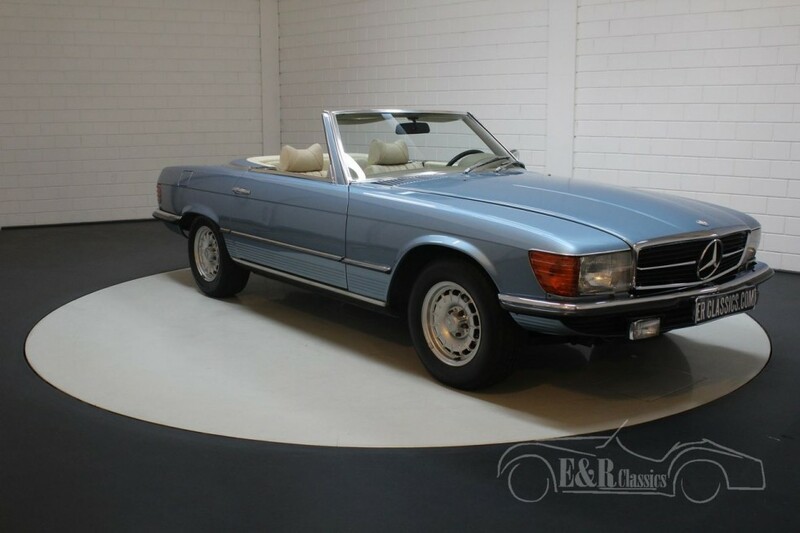 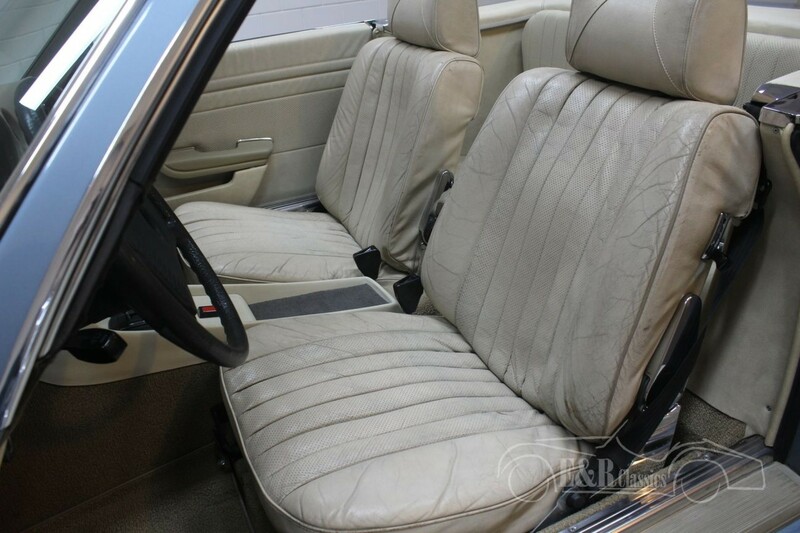 In short, a beautifully performed and very well cared for Mercedes-Benz 280SL from 1975.